Few people are born with naturally straight teeth, and many complications can arise as permanent teeth replace baby teeth. Luckily, teeth straightening technology is available to all. At Family First Dentistry, we are proud to be able to offer our patients the highest quality in orthodontic care to date, including Invisalign braces and AcceleDent. Patients can meet with our specialists and determine which course of teeth straightening treatment is best for them. Immensely popular and highly successful, Invisalign clear braces are convenient and easy to use. 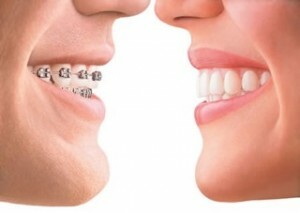 The process of qualifying for and using Invisalign is simple and straightforward. This first step is a quick and easy way to gauge whether or not Invisalign treatment will fit your needs. It’s free and can be completed in just a few minutes. Your doctor will start by mapping out a detailed treatment plan with your goals in mind. An exciting part of the Invisalign technology is that your doctor will be able to show you a digital 3D representation of how your teeth will move during treatment. 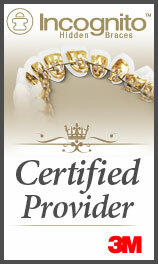 New advances have been made in the orthodontics field. 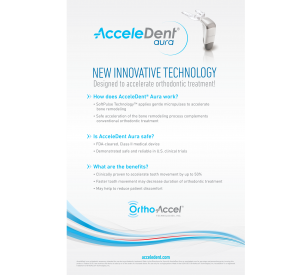 AcceleDent technology is one of the most exciting advancements our office has seen, and we are pleased to be able to offer it to our patients! 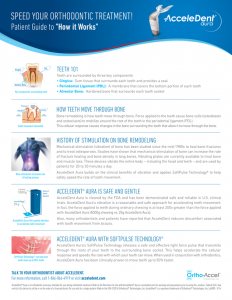 AcceleDent is a device that uses pulses and cyclic forces to move teeth. It is used as a supplement to regular orthodontic treatment, such as Invisalign. Using Invisalign and AcceleDent together helps patients teeth to straighten faster than ever before. Call our office today with any questions or to set up an appointment to get you on the path to straighter teeth today!